The venue is replacing the show with a benefit for domestic abuse survivors. It’s been an eventful past few years for As I Lay Dying frontman Tim Lambesis. He served just over a two-year prison sentence for soliciting the murder of his wife and was released early in Dec. 2016. 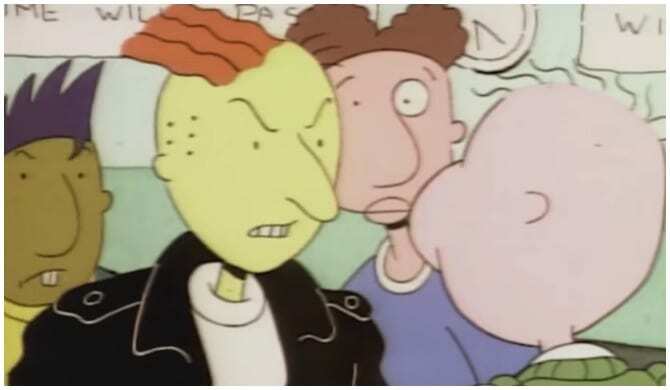 The band announced their return soon after in June 2018, selling out their first North American tour since 2013. Now, with a new slew of dates this spring, it appears not everyone is as happy for Lambesis’ return. AILD’s next tour doesn’t begin until mid-March, but one of the venues has already pulled the plug on their show. Memphis, Tennessee venue Growlers released a lengthy statement on the event’s page Tuesday night explaining their decision to cancel the show. They state community outcry led to the decision, and they’re replacing the show with a benefit for domestic abuse survivors with information on that still pending. They also quote Lambesis’ past statement, explaining not everyone was ready to give him a second chance. 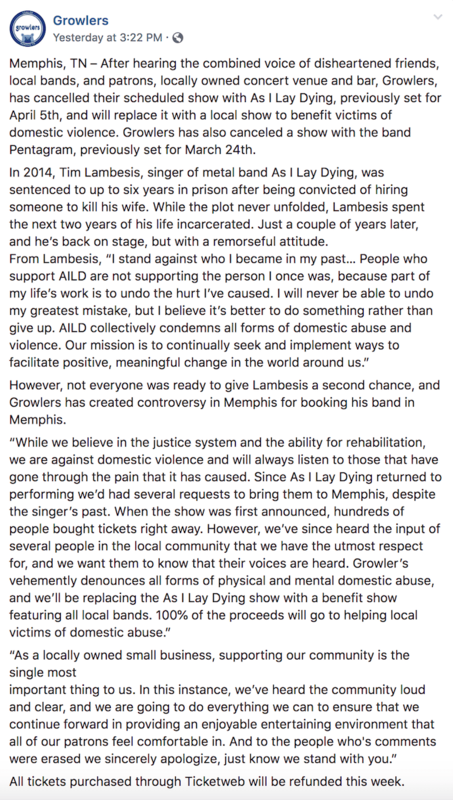 “After hearing the combined voice of disheartened friends, local bands, and patrons, locally owned concert venue and bar, Growlers, has cancelled their scheduled show with As I Lay Dying, previously set for April 5th, and will replace it with a local show to benefit victims of domestic violence. Growlers has also canceled a show with the band Pentagram, previously set for March 24th. This isn’t the first show As I Lay Dying have received backlash over following their return. In October, Spain’s Resurrection Festival set for this July removed the band. As I Lay Dying’s tour will continue as planned this March, and you can view dates and pickup tickets here.